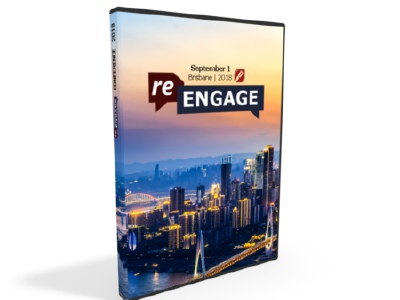 Re-Engage Conference 2016 with Dr. James White (aomin.org), Ps. Jeff Durbin (apologiaradio.com), Dr. David Catchpoole (creation.com) and Dr. Ron Neller (creation.com). Re-Engage Conference 2017 with Ken Ham and Dr. Andrew Snelling from Answers in Genesis.